Home » News » Blog » Geometry No More! This is the first in a series of blog posts that discuss the creation of The Experts at the Card Table. 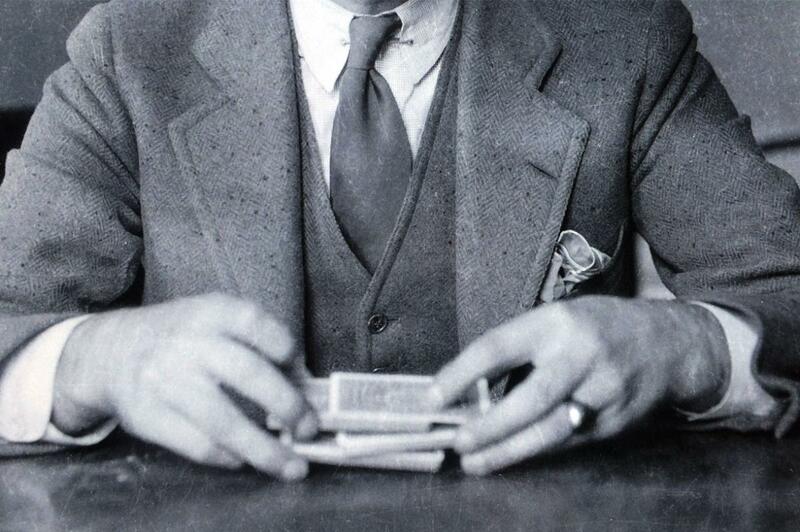 When Vernon arrived in New York and was asked, after dazzling the locals with his magic, the source of his sleight-of-hand, he replied, “Erdnase”. In many ways, they were right. Erdnase reads like geometry because it was written like geometry – that is, a collection of jot notes outlining a proof more than polished prose. There are substantial passages in the book for example, where Erdnase – or, as we believe, E.S. Andrews – simply omitted articles, such as “the”, which help sentences flow. We must have inserted about one hundred of them back into the text which, in our opinion, has certainly made a difference. The prose now flows like never before, and more importantly, it is geometry no more. The Experts and Limited Edition versions are available on a pre-publication offer until June 21 or, until supplies last.